No matter how careful you use your Dell Aero, at some point, as any other device, it will develop a series of problems that require your attentions. Anyway, when you experience odd system hangs or slow applications launches, that means you really have a problem that gives you no choice but try the factory reset method. This is also a solution for those of you who happened to forget the password or simply want to wipe away all data before selling or landing the phone. Before going this road you should remember that factory resetting your device will cause a loss of all your data stored in the internal memory so never forget to do a backup before starting the procedure. The stuff that is on the SD card will not be affected by the process until you specifically ask so. 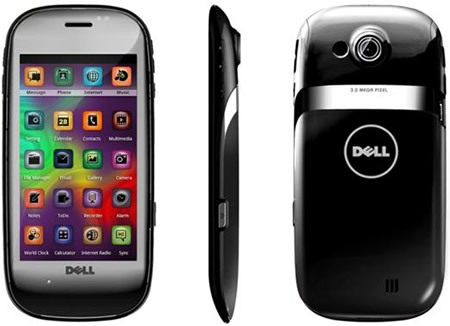 Released in August 2010, Dell Aero is a slim and light phone that disappoints mainly because it`s sluggish and hardly can it compete with the competition. It runs Android 1.5 Cupcake with relatively limited capabilities. The Dell Aero’s screen has 3.5 inches with a 360 x 640 pixels resolution and has a Marvell PXA310 624 MHz processor (CPU). An external, Micro SD (up to 32 GB) expansion slot is available for increased storage capacity. The Aero features a 5-megapixel camera with flash, 8x digital zoom, and autofocus. First, touch “Settings” from the menu. In the “Phone basics” section that appears, you need to choose “Master clear & reset”. To erase all user settings and also erase your stored data on the micro SD card, touch “Master clear”. You will be asked to input a password. If you have not changed the password, the default password is “1234”.